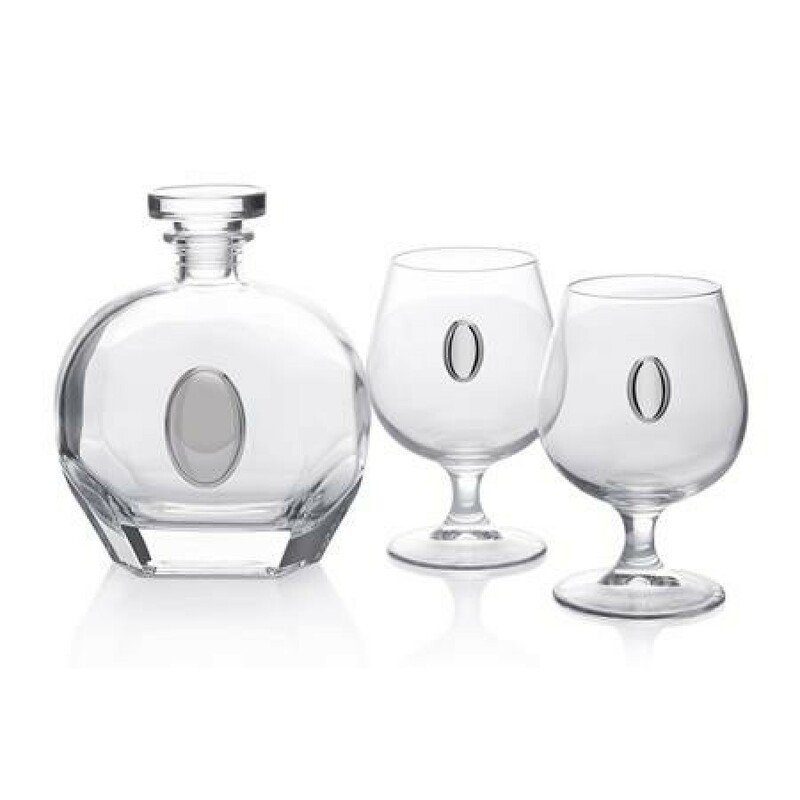 The Ovale decanter set is perfect for your favorite cognac. It boasts a classic and graceful design that accentuates splendidly with your table or bar setting. Ensuring a dramatic presentation the oval shaped artful silver lamination on the decanter gives it a royal look. Height Decanter 23 cms Glasses 16 cms Material Crystal and Silver laminates Three piece set includes one decanter and two wine glasses..
1. Click on "Buy Now @ Shaze" on this page. 2. You will be redirected to "Shaze" Merchant Website.